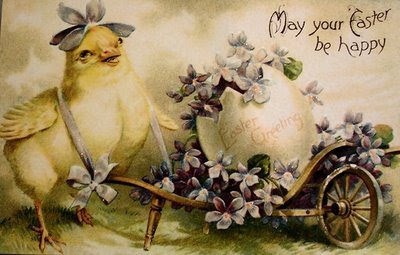 Who brought us the Easter parade, the exchanging of greeting cards, and creme-filled eggs? Who is responsible for the Easter egg hunt and egg roll? The Victorians brought us the evolution of celebration, and no season was so celebrated as spring and the promise of rebirth. Easter was just the beginning. Let’s take a look at some of the spring traditions of the Victorian era. Before Victoria became Queen of England in 1837, the country enforced historic Puritanical bans on celebrations. Once she ascended to the throne, the bans were lifted, allowing people to create new traditions. Many of these traditions survive to this day. Victorians loved corresponding by mail. During the latter half of the 19th century, one clever publisher placed an Easter greeting on a drawing of a bunny on writing stationery. Before too long, people were exchanging a variety of brightly colored cards at Easter. Today, Easter is the fourth most popular greeting card holiday, behind Christmas, Valentine’s Day, and Mother’s Day. The tradition of the Easter egg hunt and egg roll was introduced from Germany to England during the Victorian era. Children still hunt for colorful eggs, with the one with the most declared the winner, often going home with a prize. Egg rolling involves children rolling eggs down hillsides to see who can roll their egg the farthest. Eggs were often given up for Lent, so the eggs used in the hunt and rolling were eaten on Easter Sunday. The tradition of the egg roll continues to this day, with children gathering on the White House lawn to engage in the event each year on Easter Monday. 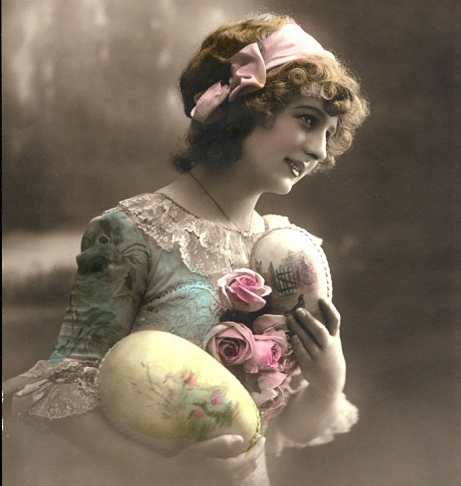 During the early Victorian era, cardboard eggs were often lined with bits of satin and contained little sweet treats. John Cadbury first made solid chocolate eggs in 1842, but the Cadbury Easter egg wasn’t introduced until 1875. Today, we enjoy Cadbury creme eggs year-round. The Easter parade as we know it today has its origin in the Victorian era, too. Victorians were devout, and after attending Easter services, were known to stroll through the streets showing off their spring finery. The Easter bonnet became very popular during this period. During Victorian times, a beau might give a pair of gloves to his sweetheart. If she wore them during the parade, it was considered an announcement of her acceptance of his proposal. One of the biggest Easter parades takes place in New York City, where it has been part of the spring tradition for more than 100 years. Fifth Avenue from 49th to 57th Streets plays host from 10 a.m. to 4 p.m. on Easter Sunday to the biggest stroll of finery, including some very fancy bonnets. 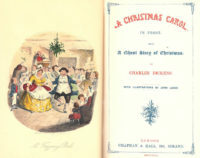 The Victorian spring season began with Easter; events and celebrations continued throughout the season and continued into early summer. The height of the social season was from April to the end of June. The highlight of the social season was the debutante ball, where young women were presented to society and could start meeting possible suitors. 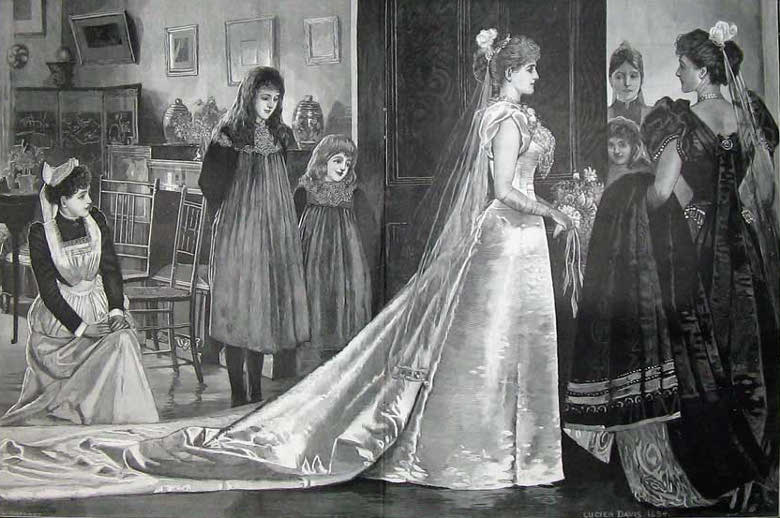 Although the event has fallen out of favor in recent decades, it is believed that the popularity of the white wedding dress was born out of the white silk debutante court gown. Not to be confused with International Workers’ Day, the Victorian May Day celebration marked the middle of spring and was celebrated with a fair, parade, dances, and many floral decorations. The first day of May often saw people rising early to go into the country to pick flowers with which to decorate the town, weave into garlands and wreaths, and to make bouquets to fill May baskets. These baskets were secretly delivered to friends’ and neighbors’ doorsteps. It was a day to stop and enjoy the sunshine, flowers, gift giving, dressing up, and participation in music, dancing, feasting, and games. Although not very popular in the United States, many countries still celebrate the first day of May through some or all of these Victorian traditions. I enjoyed this review of traditions from the Victorian era.